Glow sticks, which can last for up to eight hours, react to black lights. 4 What Color Slacks Would Go With a Light Blue Top? Black lights, or UV lights, are lights barely outside of the human range of vision that cause fluorescent colors and other natural substances, such as scorpions, to glow. Black lights can provide a multicolored glow that you can use for decoration, from rooms to body art, and add a little atmosphere to events, from eerie to playful. 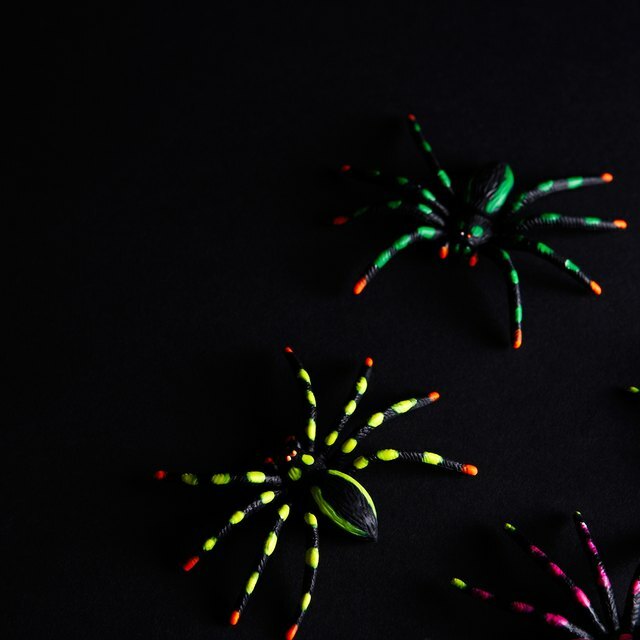 Decorating with black lights can range from drawing designs on walls with white string wound around thumbtacks to posters with fluorescent paint designed for use with a black light. Tuck a glow stick inside a white balloon and then blow it up for a balloon that has a florescent glow. 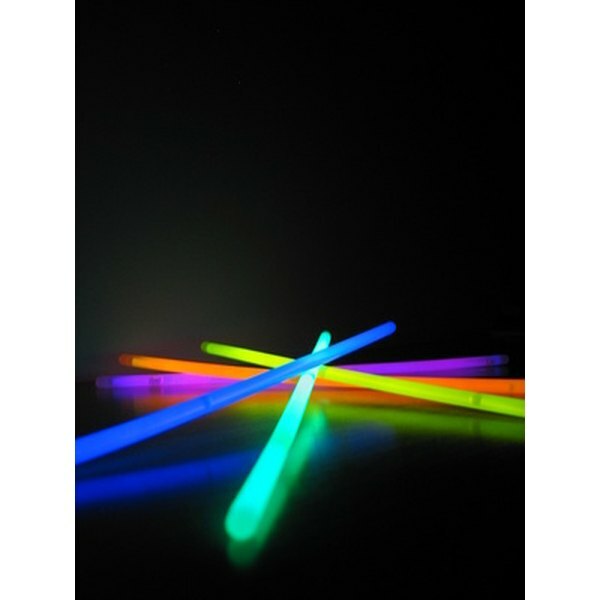 Glow sticks are available in a multitude of colors. Alter party foods by adding florescent food dye to cake icing. Mix beverages with tonic water, which reacts to black lights, for glowing drinks. Tonic water also works for making gelatin react to black lights. UV tattoos are good for individuals who want to explore body modification without risking a professional job or appearance. Originally designed to help track animals and fish, UV tattoo ink is FDA approved. UV tattoos are completely invisible to the naked eye and require black lights to appear. Skeleton outlines or fairy wings work for individuals who want hidden tattoos usable for special occasions, like parties. UV tattoos are also useful to add a little something to existing tattoos or enhance regular ink tattoos. For special events, florescent clothing and makeup help enhance a person’s appearance under black lights. Florescent nail polish, glitter and eye shadow can highlight hands and faces, while clothing like florescent fedoras or jewelry can enhance party attire. For people who like the UV tattoo look but don’t want to undergo a permanent change, draw on the body with laundry detergent, which reacts to UV light. Draw on clothing with detergent to enhance an outfit; not only will detergent come out in the wash, it’ll help clean clothes.